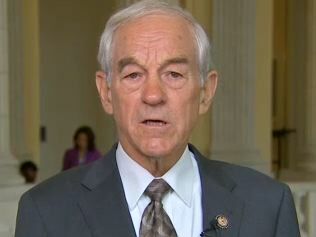 Ron Paul: "Default Is Coming"
Rep. Ron Paul (R-TX) explains why default by inflation is worse than default by not raising the debt ceiling. Rep. Paul also talks about how the devaluing of the U.S. has led to record prices in gold bullion. "Default is coming. The only argument that's going on now is how to default, not send the checks out or just print the money. In all countries our size, they always print the money," Paul said. "They're going to raise the debt limit, and then they're going to print the money, and then they'll default by inflation, and that's much more dangerous than facing up to the facts of what's happening today." Bachmann: If Obama Uses 14th Amendment He's A "Dictator"